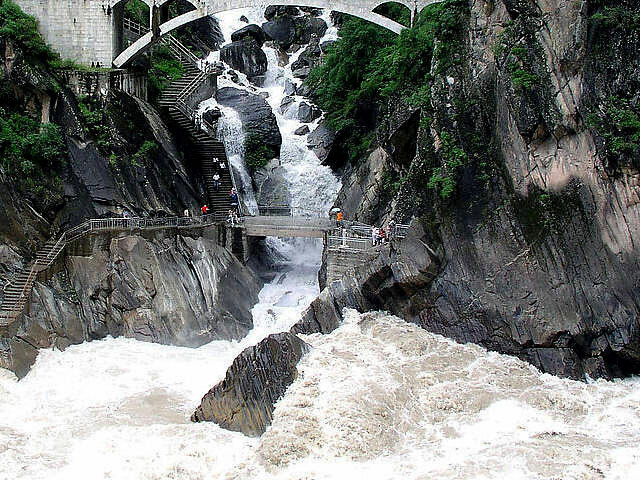 Located about 9 km (5.750 miles) away from the Qiaotou Village, the Upper Section of Tiger Leaping Gorge is the narrowest section. 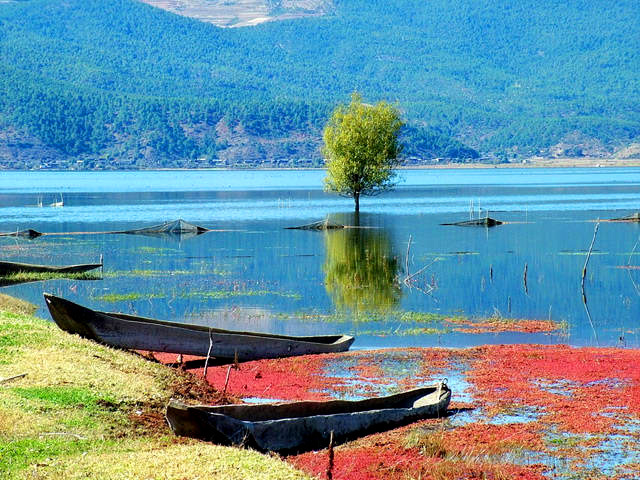 There is a huge rock lying in the center of the river; dividing the riptide into two parts. 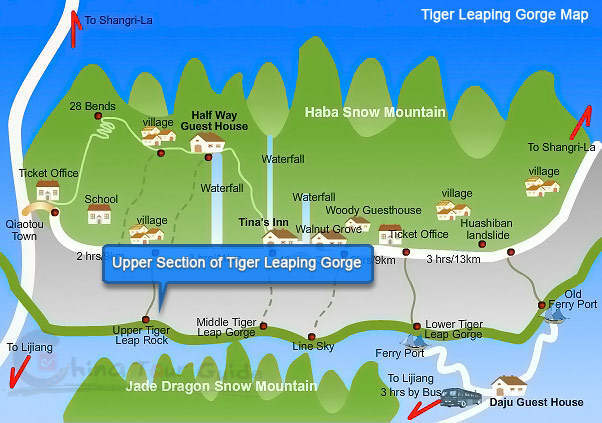 It is said that a tiger once leapt from the east bank, clearing the rock, to land on the west bank. 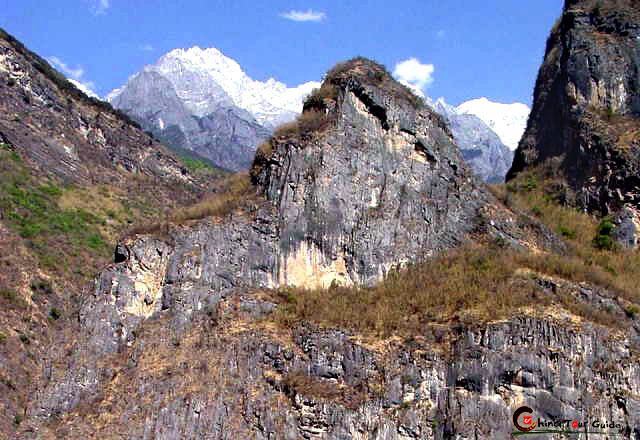 The name of the rock "Tiger Leaping Gorge Rock" comes from the legend. 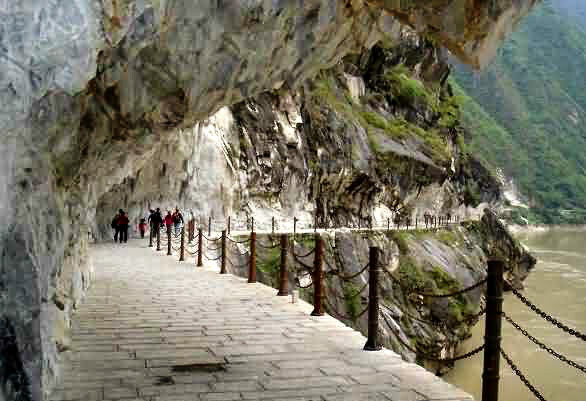 Please click " " to add the attraction in you favorite list, let us plan a private Tiger Leaping Gorge Tour for you.